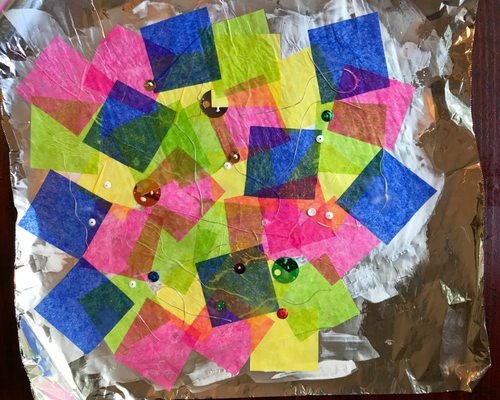 Today we are going to be creating “Tissue Paper Art.” We will only be using a few supplies that you most likely already have on hand. Let’s get started! Pour the glue and water into a small bowl and mix. You are looking for a 1:1 ratio. 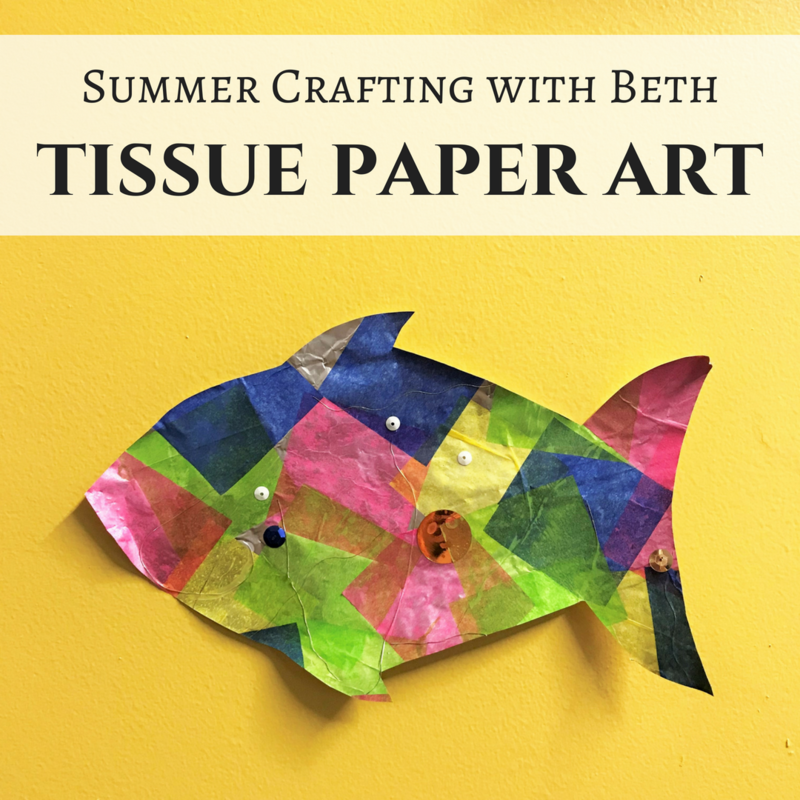 Tear or cut the colored tissue paper into smaller pieces. 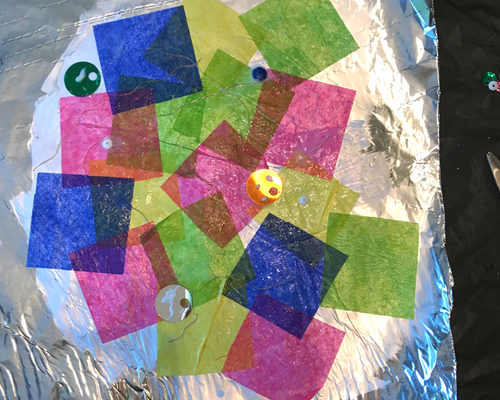 Tear off a piece of aluminum foil. 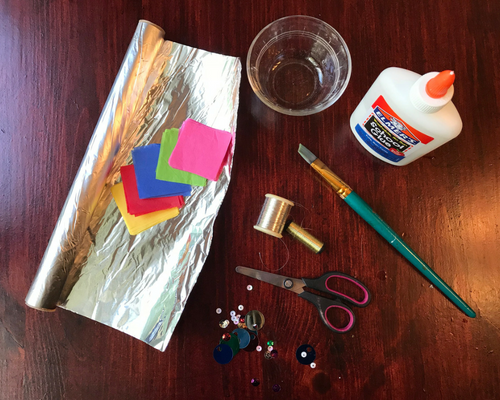 “Paint” the glue mixture onto the foil and put the tissue on top. “Paint” another layer of glue on top of the tissue. 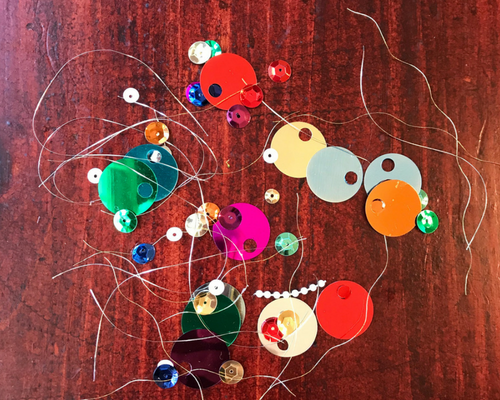 We added sequins and small pieces of gold threads to our collage. Leave the collage to dry. 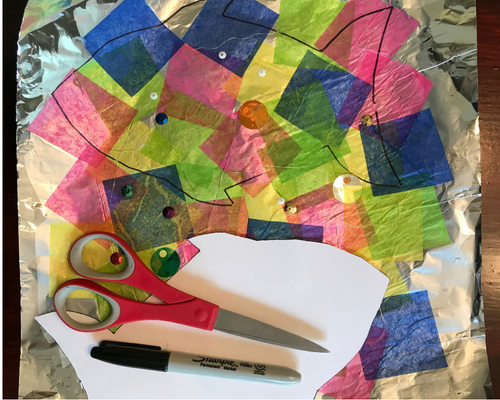 When ours was all finished we decided to take it a step further, we found a fish template and traced it onto the tissue collage. Cut out the shape and hang it up on the fridge! 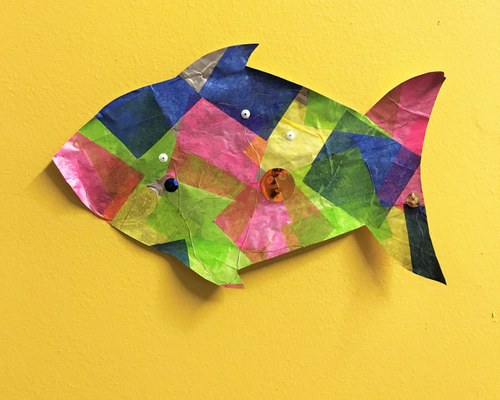 Super cute rainbow glitter fish!